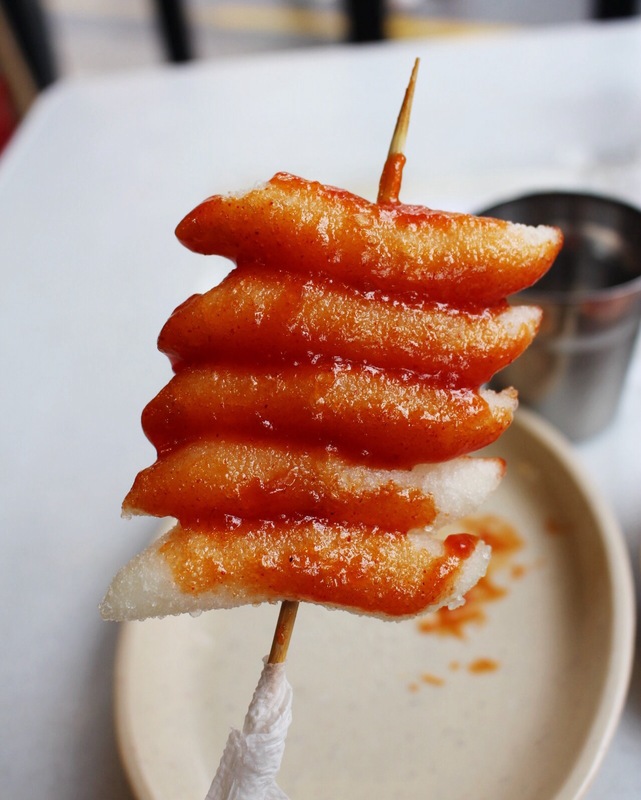 Tteok-bokki is a korean dish made of rice and red chili sauce – 고추장. It is the most widespread dish sold in food trucks and stalls as it is easy to prepare. 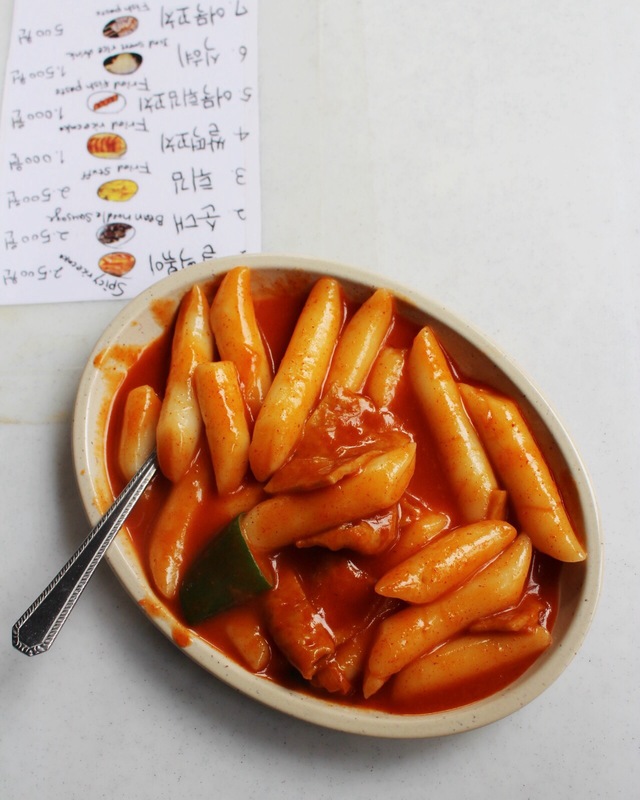 A good Tteok-bokki should have a soft and chewy rice base and a sweet chili sauce which is not too spicy. After trying several addresses for finding the one, Ppoung-nyon Ssal Nong-san (풍년 쌀 농산) Tteok-bokki was the place which met all my expectations. It is like crepe in France: very easy to cook but only few places do it really well. The fried one on a skewer was my favorite : crispy and chewy at the same time, with a spread of sweet red sauce. 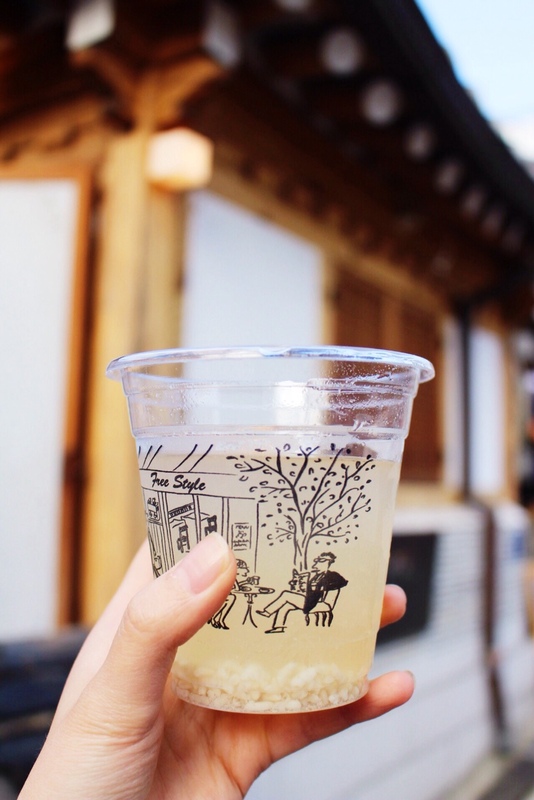 The drink to have with Tteok-bokki is Shik-he (식혜) made of rice and brown sugar. It is closed on Monday, and if you have the possibility, avoid the week end because the waiting time can be very long. Aw that looks so good! La brochette à l’air délicieuse! je retiens l’adresse pour un prochain voyage à Séoul. Wow we went to the same place! I recognize their cute menu, my friends and I loved that they called 튀김 « fried stuff » 😛 and I agree, the fried one was delicious! I’m glad to know we accidentally stumbled onto the best 😀 I recognize (and miss) so much of the other food you had in Seoul! 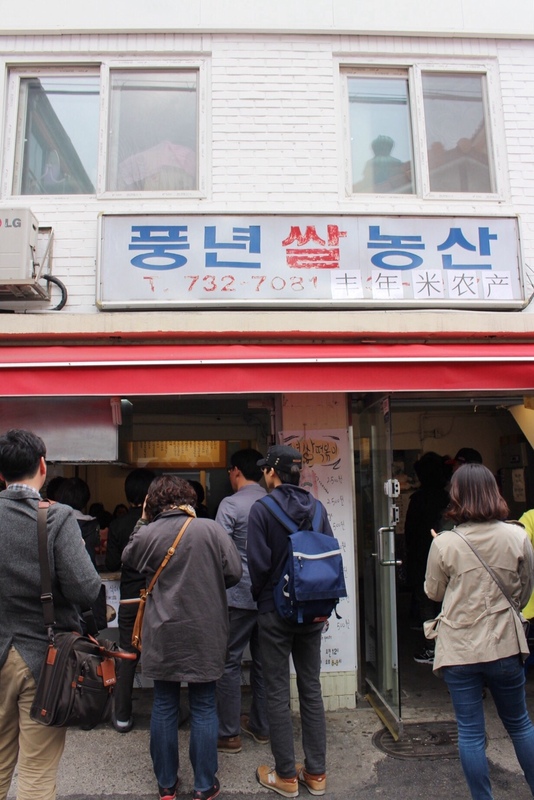 Vous lisez actuellement 삼청동 맛집: 풍년 쌀 농산 떡볶이 / Where to eat Tteokbokki – Seoul à Sugarsheet.